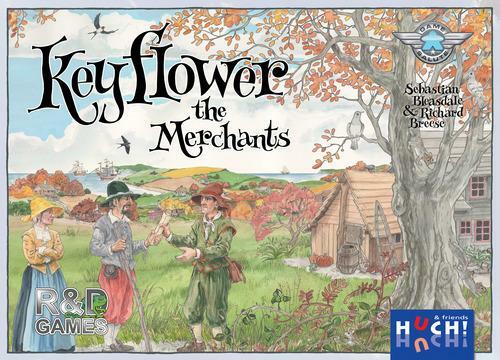 Whereas Keyflower: The Farmers added breadth to the Keyflower game, Keyflower: The Merchants adds depth. The contracts, for example, provide more ways to score points, but may also be traded for the item they depict: workers, resources, or skill tiles. Extensions double the fixed point scores of existing tiles. Cabins provide more opportunities to upgrade and to build the extensions.Keyflower: The Merchants works well with 2-6 number of players and particularly enhances the two-player game.